Warrior Surf is committed to promoting physical and mental wellness for Veterans and their families through adaptive surf therapy. The unfortunate effects of war can be counteracted by using the ocean as a healing remedy. Our program helps to break the cycle of trauma, so the body and brain can work through residual feelings of discomfort and distress. In addition to Surf Therapy, WSF provides one on one wellness training, and group yoga classes. 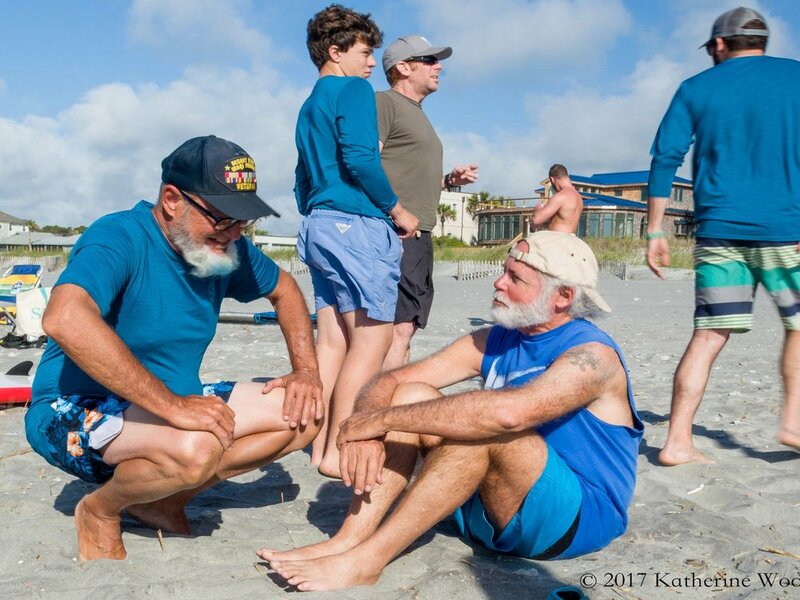 Focusing on mindfulness and resiliency, these offerings empower our Veterans to maintain a healthy lifestyle, regardless of whether the ocean is close by. WSF is a supportive community of Veterans and their families. We easily empathize with and understand one another. Not only do we enjoy sharing stories, we enjoy making memories as well. 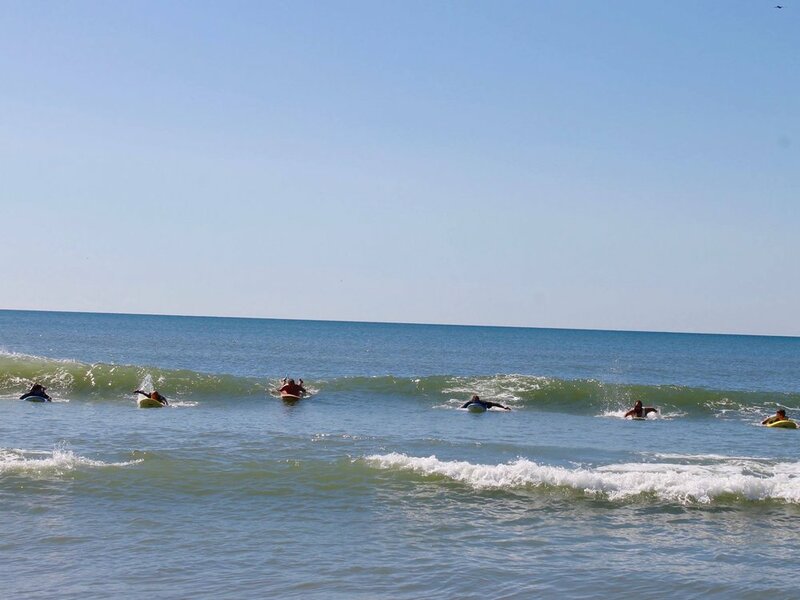 Many people come for our surf clinics, but they stick around for the tribe. In just four short years, the WSF has made tremendous strides in serving the Veteran population. And we're not done yet! There are over 21.8 million Veterans living in the United States. Your donations help us to bring healing to more Veterans every day. Our program has impacted over 400 Veterans and their families since inception. There is no looking back in surfing, you can only look ahead and be in the moment. To have time in the water, looking forward and being cheered on is an amazing thing. Get involved! There is so much YOU can do to help. From simply sharing social media posts with the hashtag #WarriorSurf to volunteering your time or donating to the foundation - every little bit helps. We believe in community, and we know that without you, we wouldn't be able to serve the ones who have served the most! SIGN YOUR VETERAN UP TODAY!